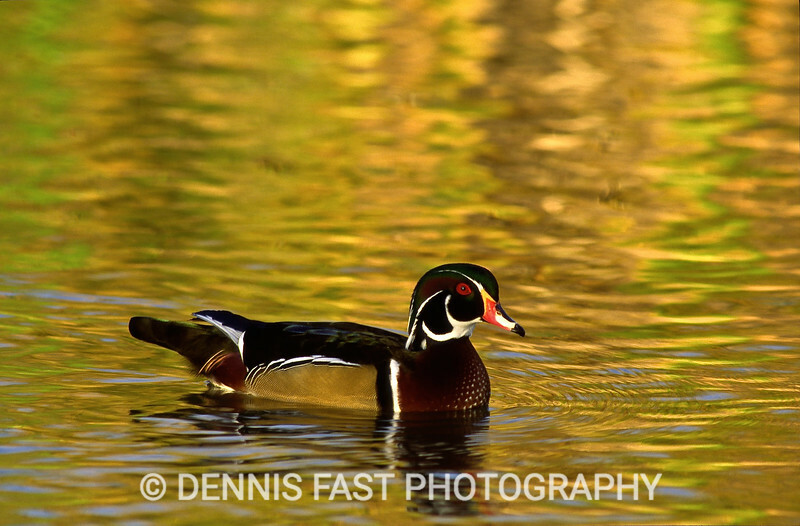 The Wood Duck is arguably North America's most beautiful duck. A resplendent male's irridescent patchwork of colour is completed here by the reflection of autumn leaves in the water. Once badly threatened, it has made a remarkable comeback and is now quite common throughout it's Eastern range.